Is it possible to have an truly alternative altcoin? The developers behind new digital currency NXT think so – and they’re gaining traction. The altcoin, which was officially launched on Jan 3rd, just signed BTER as an exchange partner. NXT works in a different way to bitcoin, and to other coins like litecoin that use different algorithms for mining. The currency isn’t mined using computing power. Instead, it uses a version of Proof of Stake (PoS), which was a concept initially pioneered by peercoin. PoS works by awarding new coins to existing coinholders based on the number of coins they already have. The idea is to generate new coins without having to chew up vast amounts of energy as the bitcoin network does. NXT does this by working out how many coins everyone has, and using these figures in conjunction with a random math function to work out who will be forging the next block. That person then processes all of the transactions in the current block, and is awarded some coins for it. One of NXT’s unique characteristics is that everyone knows who is going to be mining the next block. Everyone on the network then sends their transactions to that person. This drastically reduces traffic, claims the development team, while also decreasing confirmation times practically to zero. The team claims credit card-like transaction times. This solves a perennial issue faced by bitcoin users. They run the risk of a double spending attack, where someone sends a bitcoin and then persuades the rest of the network that it didn’t happen, enabling them to spend the coin again somewhere else. To engineer that kind of attack, the fraudster would have to mine their own block with their own, falsified transaction records, separately to the rest of the network, and then convince others miners that they should accept it as the real one. To protect against that, bitcoiners are supposed to wait for the next block in the real block chain to be mined (which takes around ten minutes), before accepting a bitcoin payment. Some people suggest waiting for six confirmations, which can take longer. People on the bitcoin network often allow zero-confirmation bitcoin transactions, but they do it at their own risk. What’s to stop someone on the NXT network from trying to convince the rest of the network that a transaction didn’t actually happen? This is where a concept called transparent forging comes in. In NXT, everyone knows who’s supposed to be mining the next block in the block chain. If they’re trying to mine a fraudulent block and fork the chain, then that means that they can’t be mining the real one. The network can detect this, and reduces that miner’s mining power to zero, thus choking off their efforts. NXT is different to peercoin, which only uses PoS for part of its base of coins, using PoW for the rest. Peercoin will grow this percentage over time. NXT starts with 100% PoS, and isn’t mining any coins, because they have already all been produced. 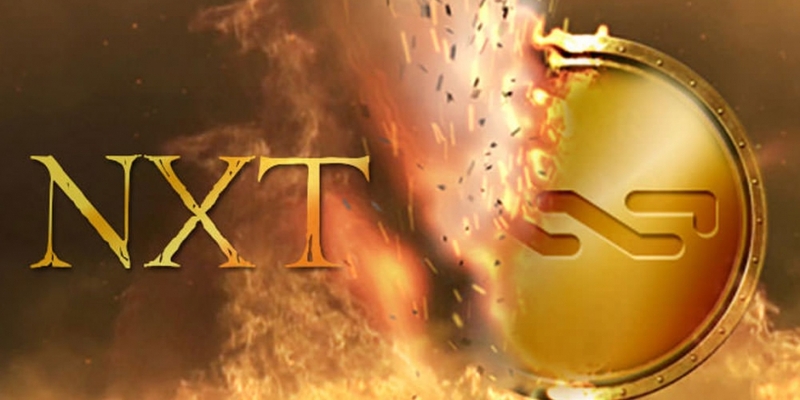 The NXT team created the entire base of NXT coins – one billion of them – in advance. 75 investors then purchased the coins, putting in a total of 21 BTC. They then began trading them directly in the forums, or via the first central exchange set up for that purpose, called DGEX. Investment was open to everyone, says NiftyNickel. John Manglaviti, King’s community development manager on peercoin, who also helped to kick off the Feathercoin community in the early days, has been involved in NXT. He schooled NiftyNickel in some community building tactics, and also owns around $12,000 worth of coins at its current market cap. Manglaviti wishes NXT all the best, and welcomes an innovative coin into the altcoin community. Nevertheless, it has its challenges. One of the advantages of a hybrid PoW/PoS system, such as peercoin’s is that not all of the coins are owned by a small group at one time. BTER, which seems to be a haven for altcoins, might help to increase the coin’s liquidity somewhat. In the long run, though, the NXT developers want to expand from central exchanges to a decentralized exchange mechanism. This is a tough technical problem, and various people have tried it in the past. NXT’s team isn’t afraid to pile on ambitious features. The team also wants to tackle some other problems, some of which have been successfully implemented with other coins, and some which haven’t. No one coin has done them all yet. One such feature is a naming and messaging system. NXT Alias will allow a user to substitute a string for any uniform resource identifier (URI), which is a digital asset of any kind, such as a phone number, image, NXT account number, or web page. NXT’s decentralized domain name and messaging system also enables people to host their own web sites and chat to each other anonymously. This is akin to the naming system in namecoin, although it will doubtless be implemented differently under the hood. Another thing that NXT promises is coloured coins, which is something that the bitcoin community has been discussing for a long time. This would enable coins to be ‘marked’ with specific attributes, so that they could be used to describe other assets, including virtual ones (stocks, bonds, and derivatives), and physical ones (your house or car, perhaps). NXT wants to impress, though. It has made its code open source, and the developers continue to add to it over time. So how much is it worth? Market capitalization is a tricky thing to calculate for a coin like this. Coinmarketmap.com, which includes NXT and Ripple in its list, puts NXT at number 6 in market cap. Dustcoin.com includes neither, rendering NXT invisible. NXT is worth a tiny fraction of bitcoin – far less than, say, a litecoin or a peercoin. When it was first distributed, a bitcoin was worth 47.6m NXT based on the amount invested, and the number of people who invested it. Or, to put it another way, each NXT was worth roughly one forty-seven millionth of a bitcoin. Now, at the current ask price, each NXT is worth roughly one six hundred thousandth of a bitcoin. That’s a decent rise in just a few months of unofficial trading. It’s still worth relatively little. But because the team released all of them at once, the coin can obtain a large market cap very quickly. A billion very cheap coins can be worth a lot. This makes NXT and bitcoin – even NXT and peercoin for that matter – entirely different animals. So whether you’d want to include their market cap on a broader list or create a new one with hardly any coins on it is a personal decision. One thing’s for sure: if a coin is innovative enough to warrant its own category, it’s worth keeping an eye on.